AAEA Hollywood: Kramer Reformed on "Curb Your Enthusiasm"
We called it way before the episode aired: that Larry David would use the ad hoc "Seinfeld" reunion to reform the Kramer character [or Michael Richards]. Our verdict: BRILLIANT. Larry David successfully exorcised Richard's racist rant by mocking Kramer. If Richards handles things right, he could still have a career. In fact he could rule. Just be thankful that, for the most part, African Americans are forgiving people. Kramer has some disease. Larry David tells him an acquaintance had it and is fine except Larry did not know the guy had died a tortured death two months earlier. Leon Black [the real black guy] volunteers to play Larry's dead acquaintance to make Kramer feel better. 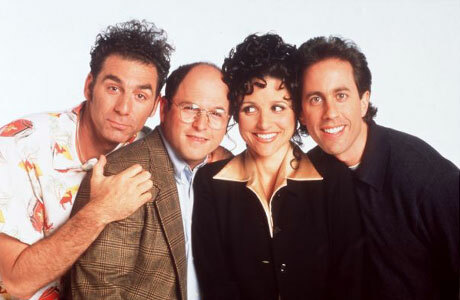 So Leon ends up trying to explain that he is an Ethiopian Jew and that if Kramer wears Leon's goofy hat he will not die. Leon shows up at Kramer's door looking like a bow tied member of Louis Farrakhan's Black Muslim Fruit of Islam security force and Kramer says "don't kill me, its been three years." A great line and visual. Of course the dead guys wife ends up on set and blows the whole scheme. So Kramer ends up screaming at Leon as onlookers all pull out their cell phone cameras. Kramer ends up saying "I could use some word to describe how angry I am right now." Definitely pushing the envelope, but great theater. This part of the episode put it in the 'classic' category. Larry and Leon always light up the screen just as when Larry would spar with Wanda Sykes. It put the episode into hyper drive. Okay Kramer. 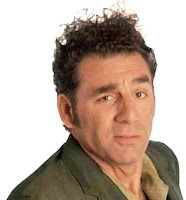 Okay Michael Richards. 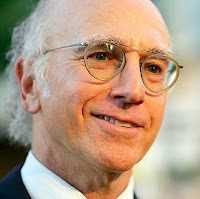 Thank Larry David and Leon Black for their help. As far as we are concerned, it is over. And you are back. Don't blow your second chance. Addressing this issue this way, we think, showed a sensitivity, in Larry's nutty world kind of way, that lets us know that you deserve a chance to move on. Now show us what you have. Will Comcast Purchase NBC Universal?